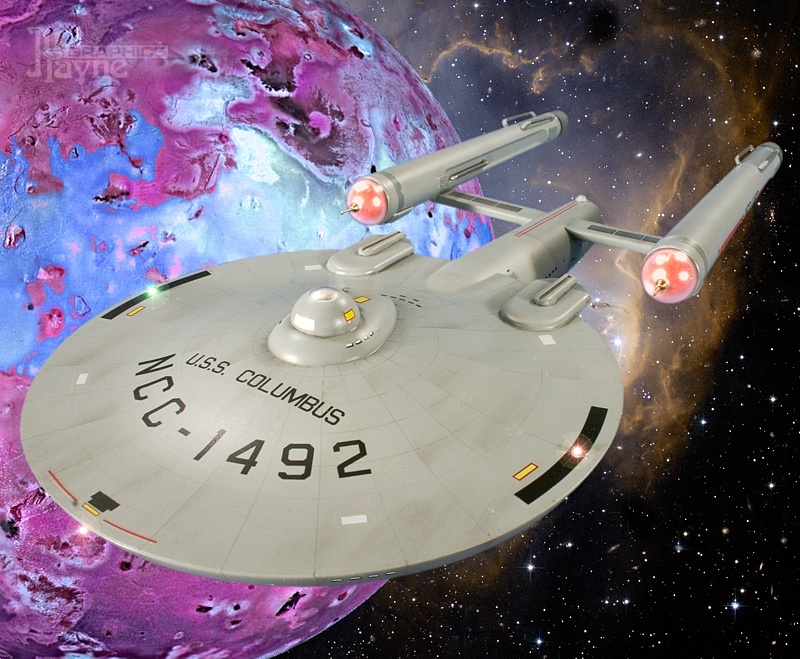 Columbus is an exploration cruiser, designed and built just prior to the Constitution class vessels during a period of experimentaion when Starfleet was in search of the perfect warp-dynamic layout. With Columbus and her sisters, the "long and lean" school of thought was approached, with some success. 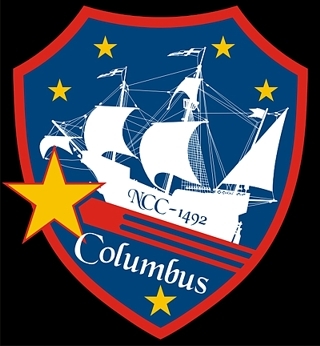 One wonders if some wag at Starfleet Registry was just waiting to push the name Columbus for whatever ship happened to draw this construction number. It's perhaps more surprising that no one in the higher echelons disagreed! 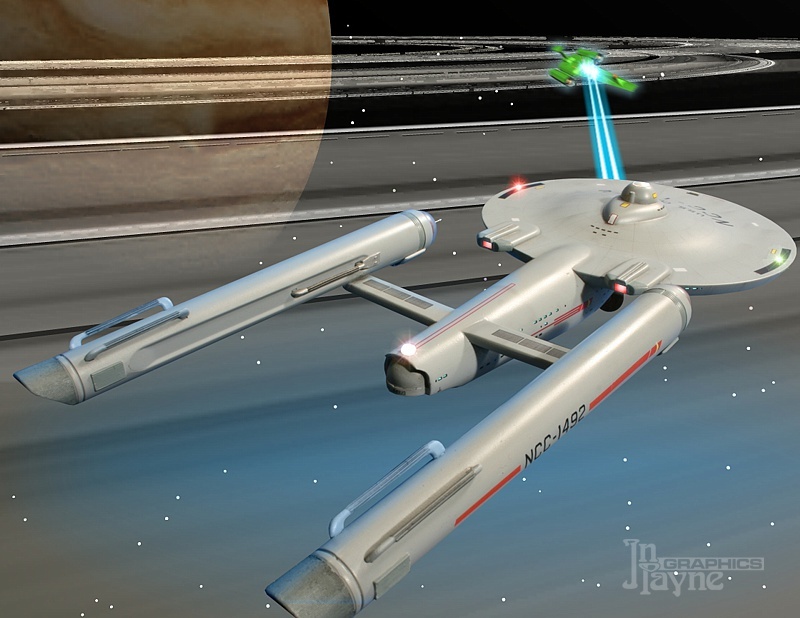 Though Columbus' performance was satisfactory, the later layout of the Constitutions proved superior, and most Starfleet ships followed their basic layout for decades afterward. 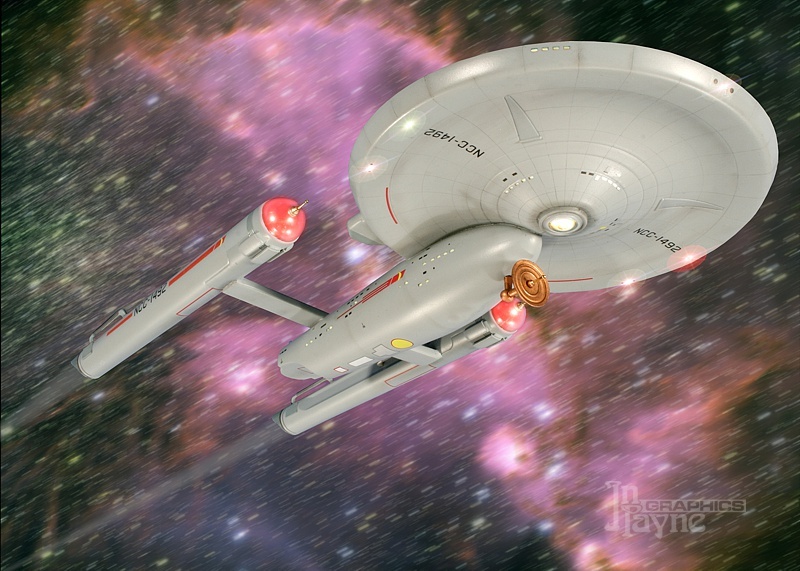 Columbus fires on an Orion pirate ship before it can duck into a planetary ring system. to some detail photos of the Columbus model.